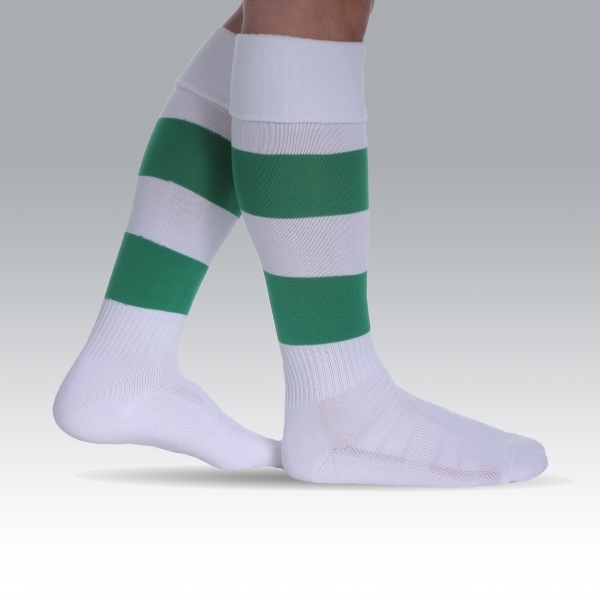 Football socks in professional quality made on order in custom specification. 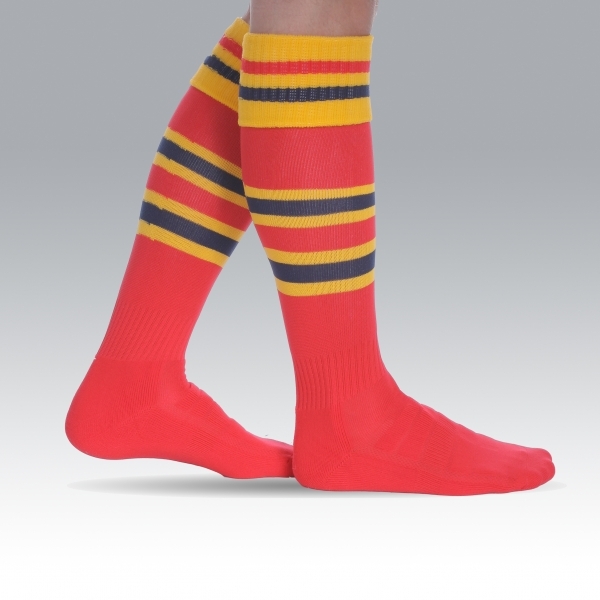 Socks are woven from prolen or polyamide fibres. This is innovative solution. 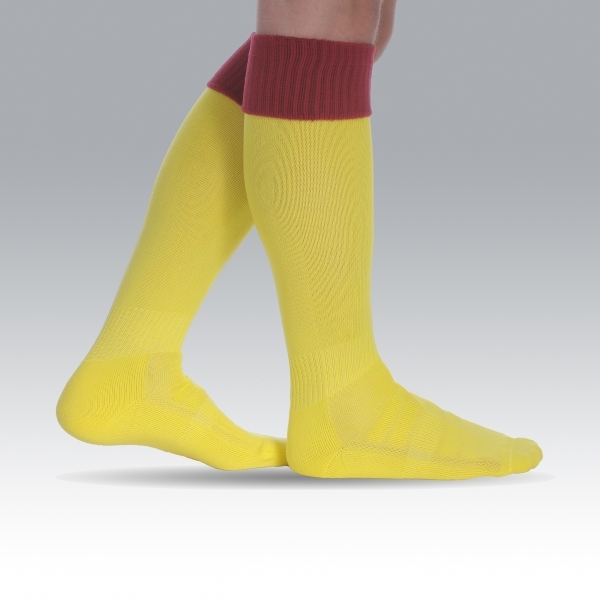 The presence of fibres of prolen or polyamide in structure of socks helps to eliminate sweating and leave the skin dry and odourless. 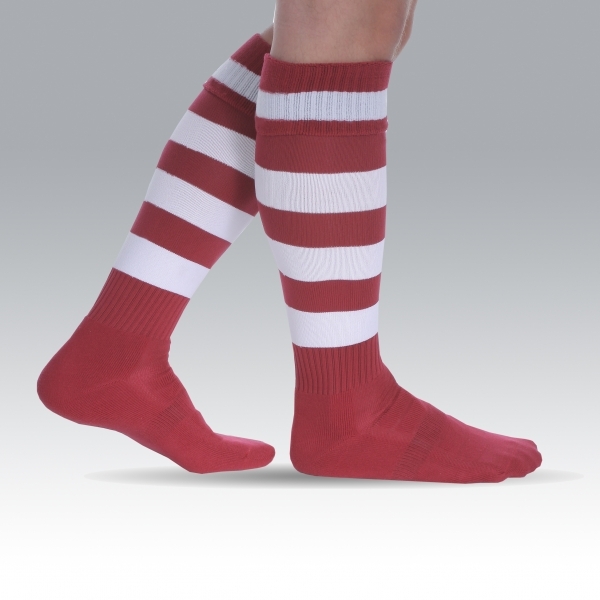 Both fabrics provide a perfect balance of temperature and humidity even in the most extreme conditions. 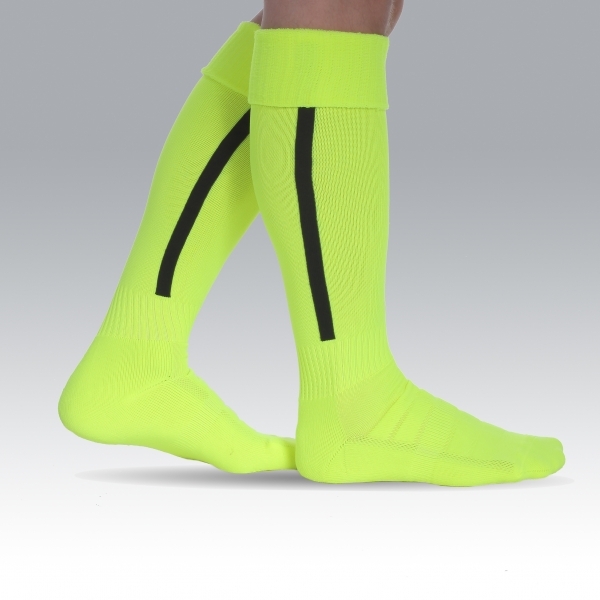 Both help transfer moisture to outside socks due to their unique water absorption rate which is close to zero (exact index rate for prolen is 0.01% with air humidity 65% and air temperature 20 degrees). 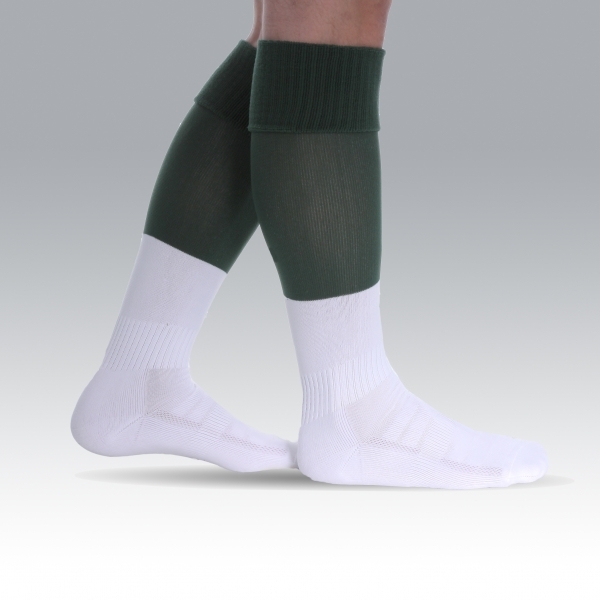 Lycra is added to leg part for elasticity and breathing. Padded sole ensures extra comfort. Micromesh venting added to bridge of foot. 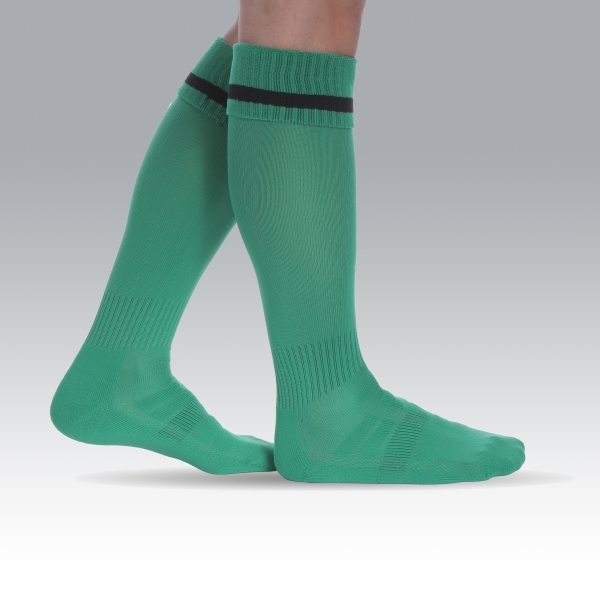 Turnover top is fully elasticated and ensures perfect fitting. 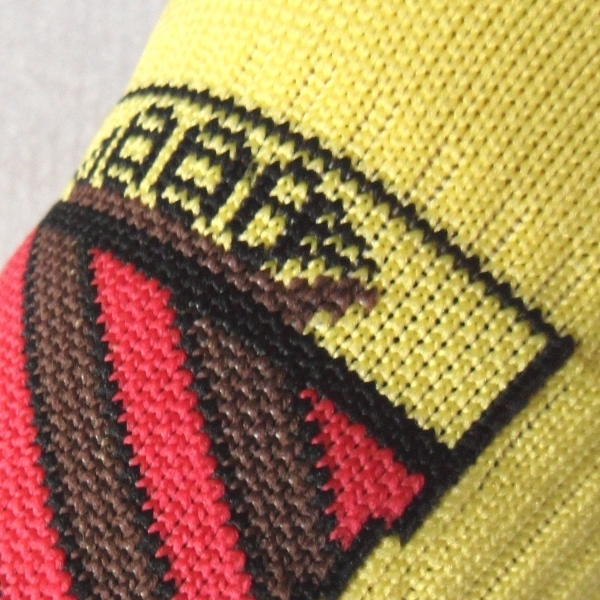 Socks are available with antibacterium foot. For details click here. To have colours chart click here. 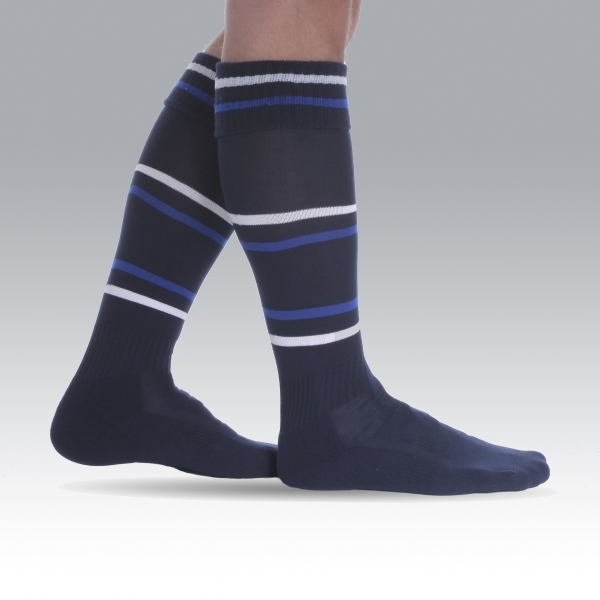 Socks are available in any combination of colours listed on chart. 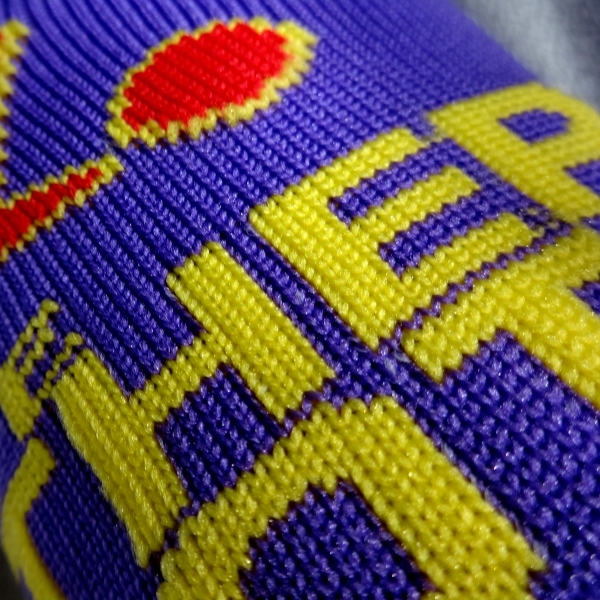 Socks can be made in custom design. You can also choose your design from gallery of pictures beside. 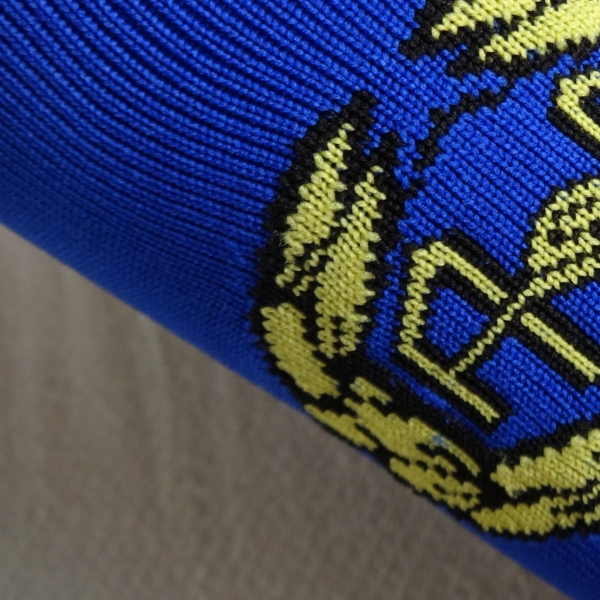 Additionaly, socks can be personalized with logo or lettering. 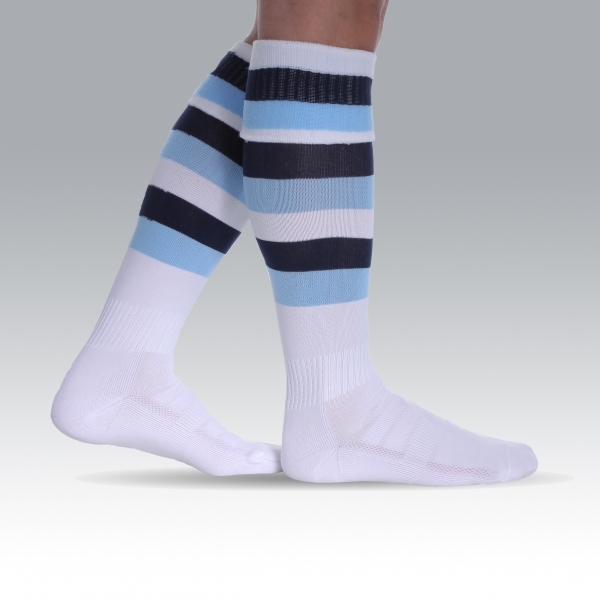 Minimum order for customised socks is 20 pairs. The only cost of customisation is logo/lettering design setting up charge (see prices below). Setting up is paid once what means that repeat orders are free of charge. 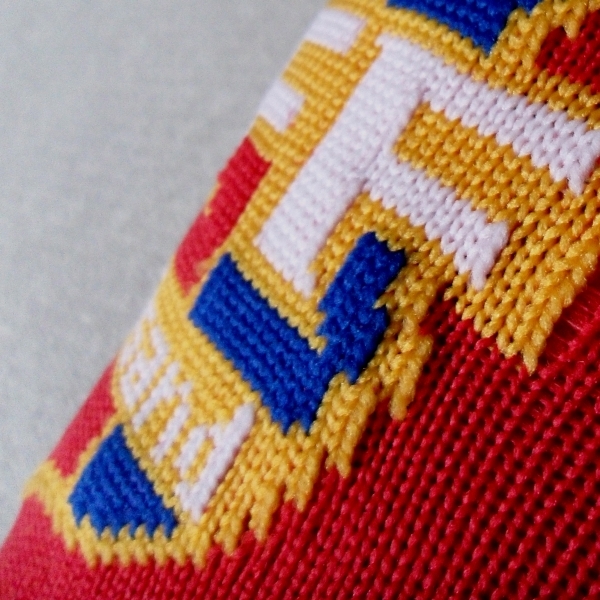 Logo and lettering is woven, not heat printed or embroidered. See sample pictures on gallery beside. 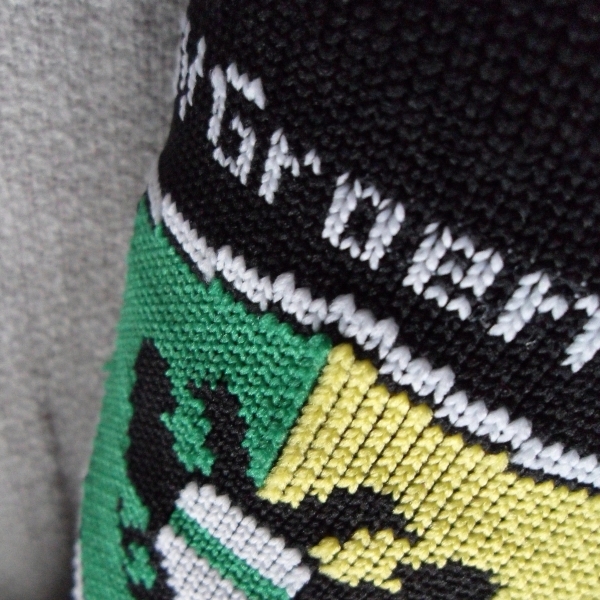 Socks in fully custom design can be made on order. Ask about details.